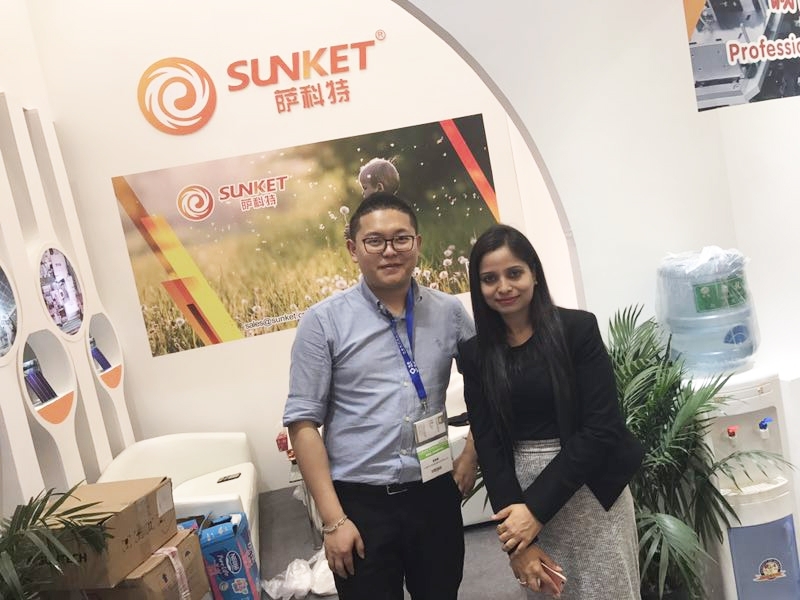 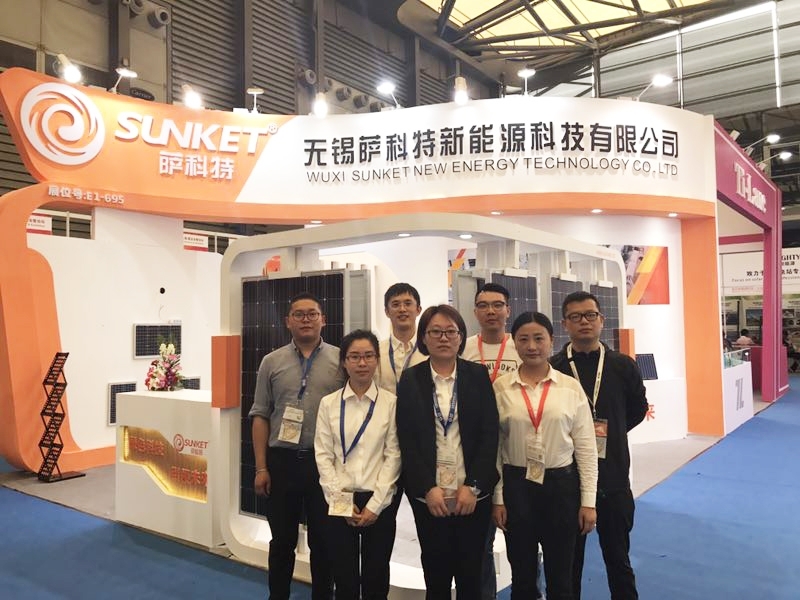 Wuxi Sunket New Energy Technology Co., Ltd. was founded in 2012 is a high-tech enterprise invested by Delin Holding Group. 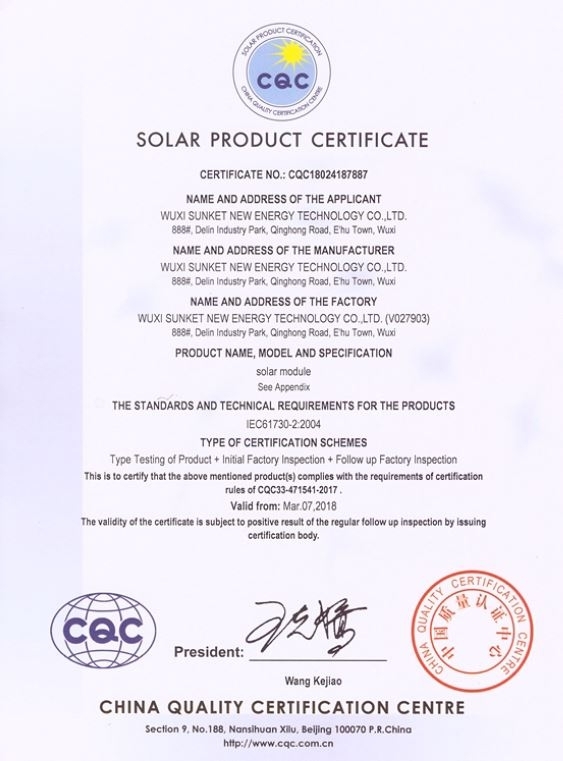 We specialized in solar cells, photovoltaic modules and solar systems design, production and sales. 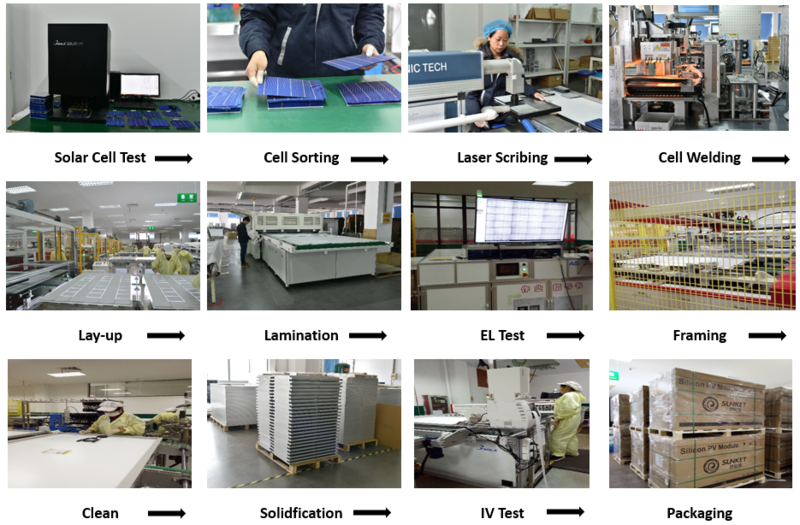 Our company is located in the Historic Town of Dangkou, and covers an area of 7000㎡ .The annual production capacity of PV modules has reached 200MW by introducing the world's advanced automatic production line and testing equipment. 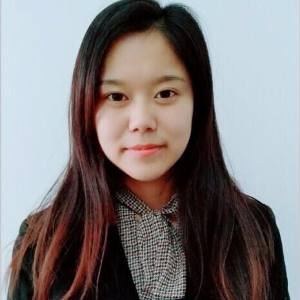 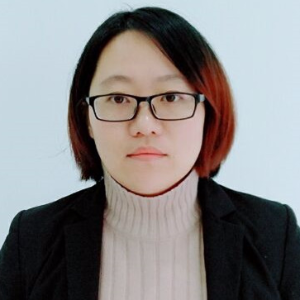 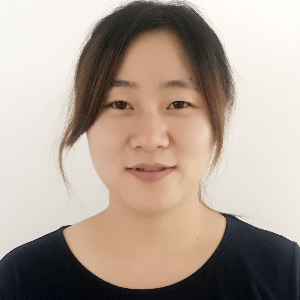 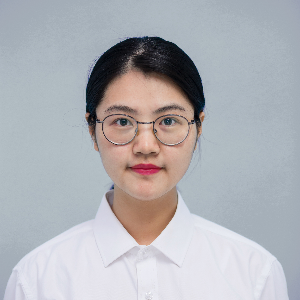 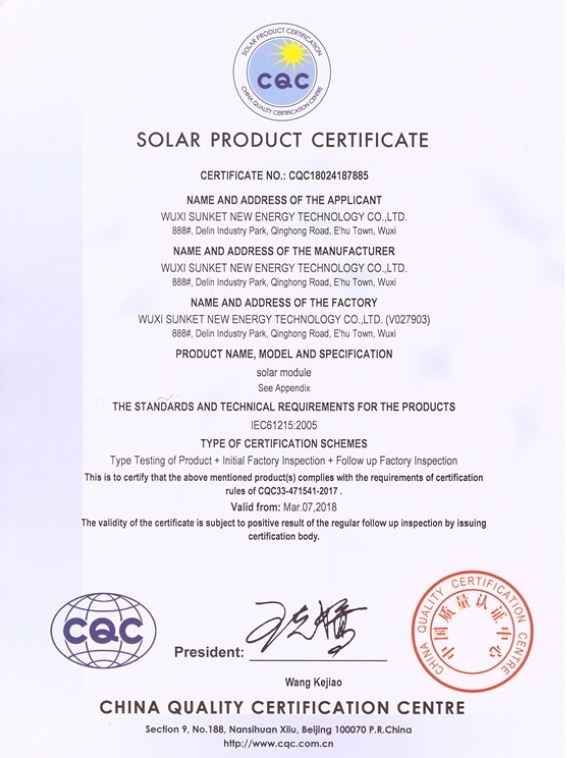 Since it is established, our company adhere to the concept to make accurate and superior products, constantly develop high-quality solar products and extend to the downstream, finally build a complete vertical industry chain in "solar cells market, PV module manufacture, system project and solar application. 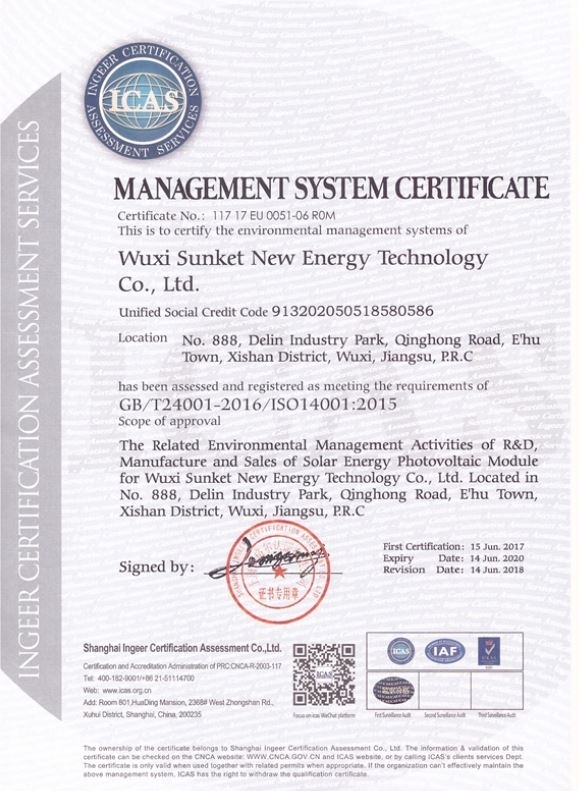 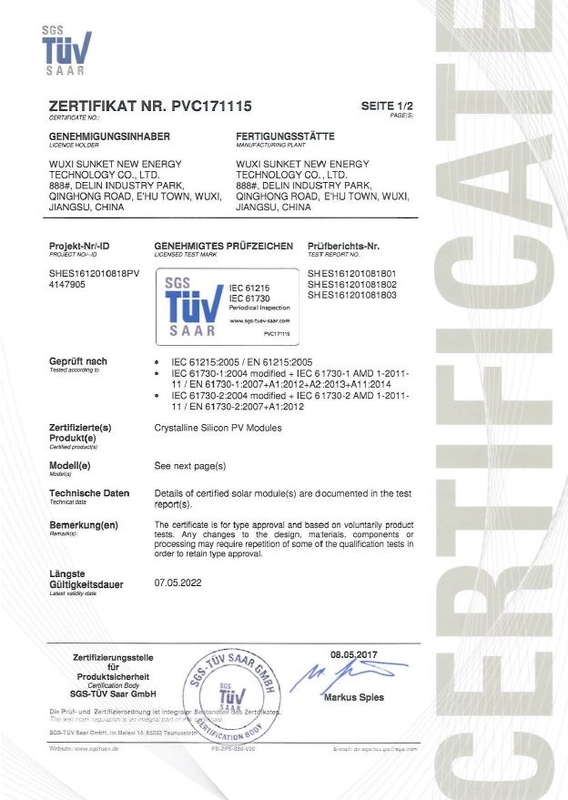 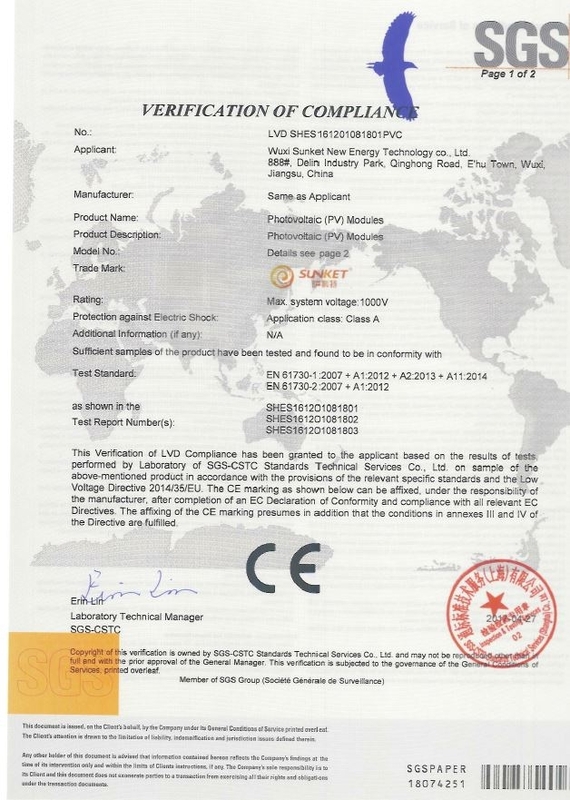 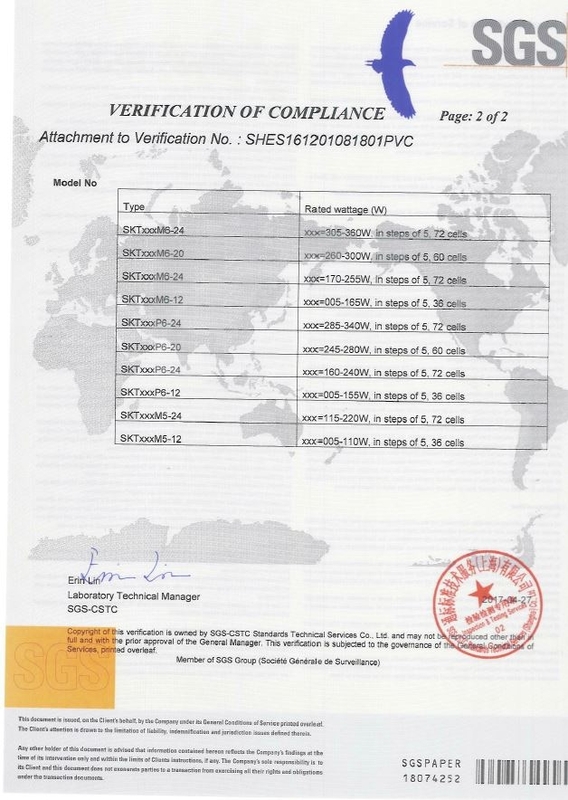 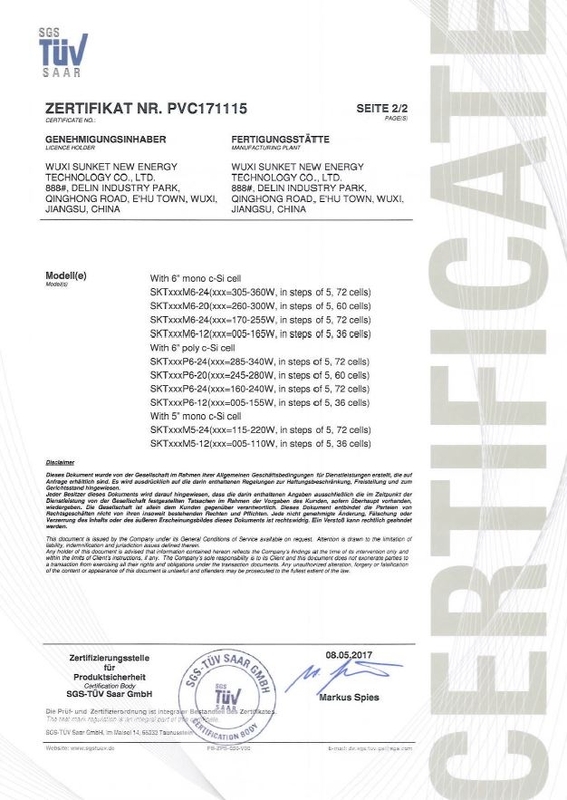 ”We have approved by many international and domestic authoritative certification, such as ISO9001, ISO14001, OHSAS18001, TUV, IEC61215 ,CE and CQC Solar Product Certificate. 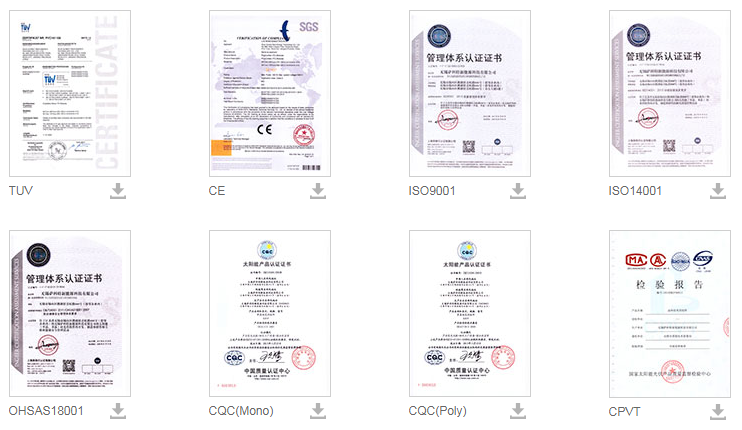 Our products are exported to Southeast Asia, the Middle East, Africa and South America and other countries and regions. 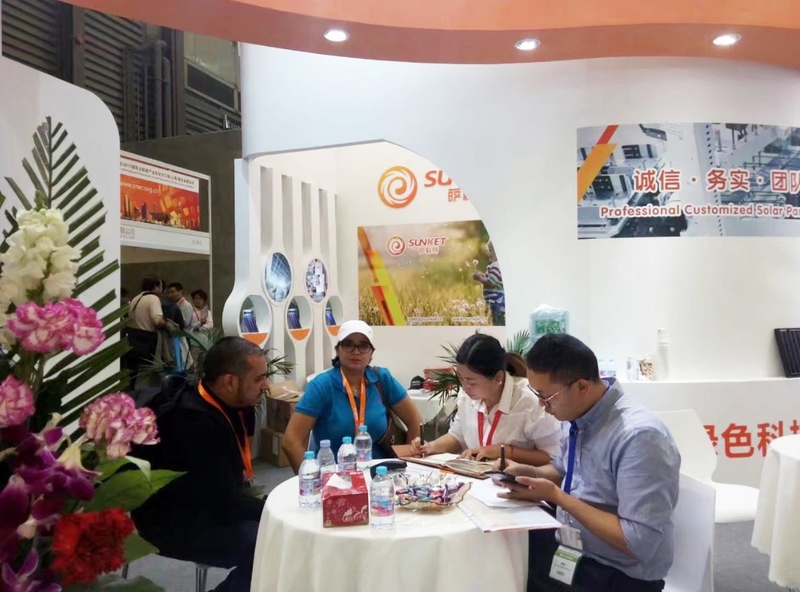 The company also provides customized product services, which have won the compliments from clients around the world. 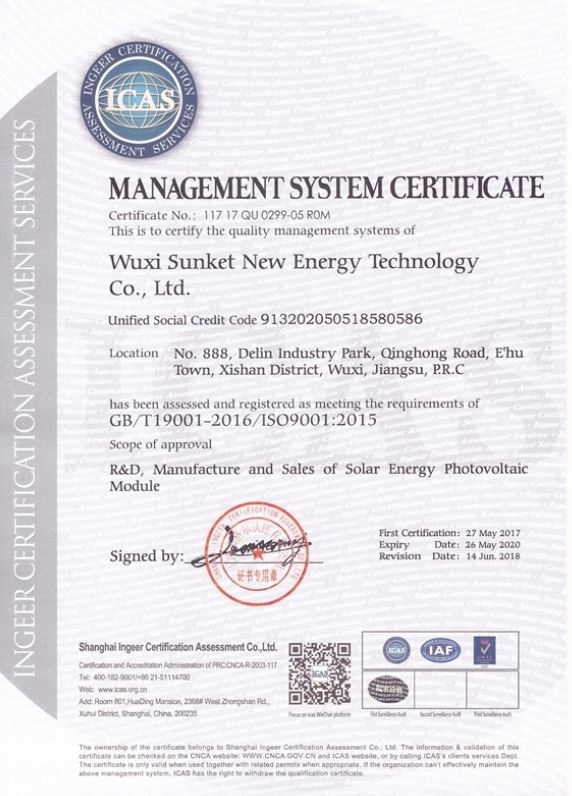 Our company has always been to the concept of "New energy, New world" as our mission, adhering to the "Client first, Quality first, Credit first" as operation philosophy, and adhering to the" integrity, pragmatic, teamwork, innovation" as the spirit of our enterprise, aim at to providing high-quality, high performance solar products. 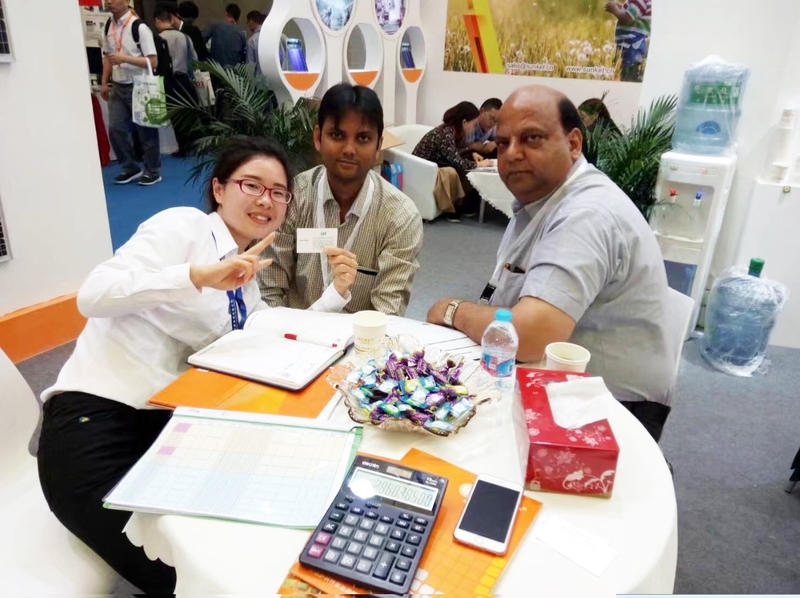 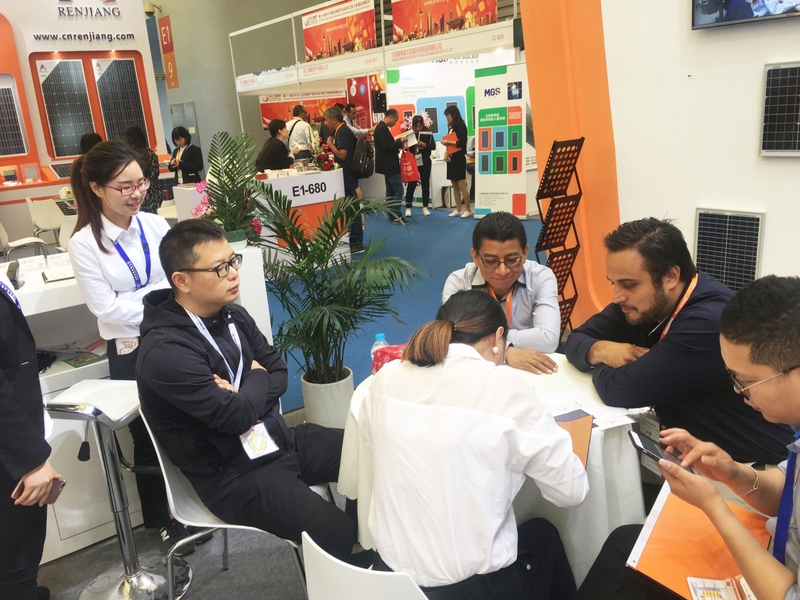 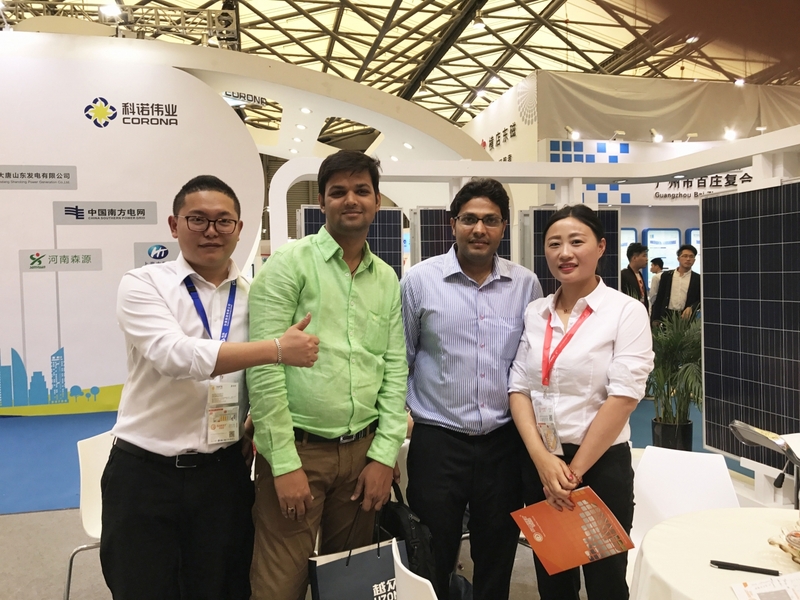 The company is committed to becoming a diversified, large-scale, international professional solar green energy suppliers, in the field of solar PV industry to provide one-stop services and solutions for global market.